-Good for High School Senior portraits, family portraits, engagement portraits, and modeling portfolio. -Clothes changes for different looks ok.
-Only one location per booking. -Cannot be used for weddings, quineañeras, corporate head shots, concerts, or any type of major event. 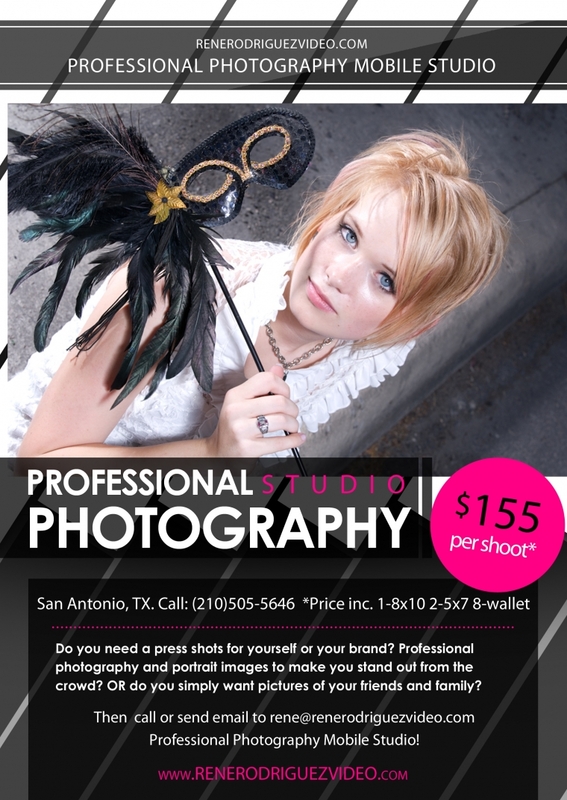 -Valid only in San Antonio, TX and surrounding areas.